The Amazon marketplace continues to grow and continues to thrive. With the maturing of this selling channel comes a wealth of strategies that are proven in this business environment. It will take acumen and skill to define the right approach to make the most of the wealth available. Sometimes the best way to be successful on Amazon is to read the stories of those who have been successful before you. There are Amazon FBA millionaires who provide an excellent Amazon case study on which to base your business choices. 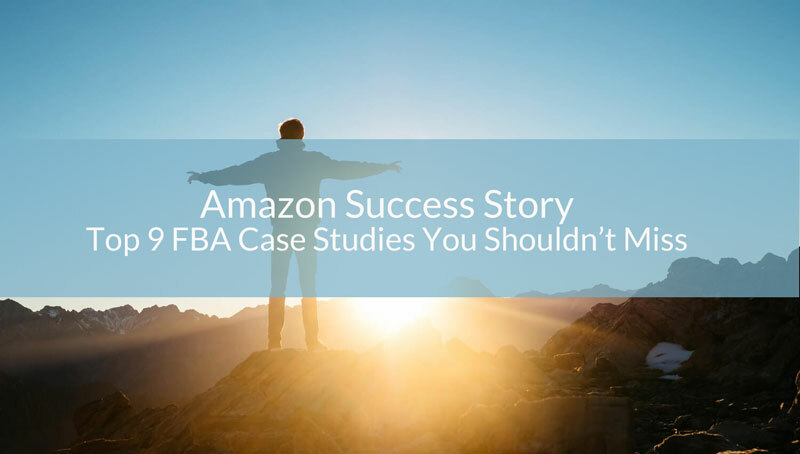 Here we present the top 9 FBA Amazon success stories, which will help guide you towards your own wealth and prosperity. Ask yourself as you read: how do these sellers succeed on Amazon and stay ahead of the competition? What strategies do they use that have been proven to be successful? Card Against Humanity is the most successful private label product ever on Amazon. This game is advertised as the “card game for horrible people” but has proven to be the funniest, most popular toy and game to be delivered through the platform. It is worth over $1.5 million in sales. What can we learn from the success of Cards Against Humanity? First, you don’t need to be backed by a super-power brand. The designer of the game was someone at college who had an excellent idea. He made up the game to entertain party-goers at New Year’s Eve – as he found unstructured socialising terrifying. He solved a real-life problem with a clever idea – and then recognised that it was a cool idea. An idea if fine if you have the funding – which someone going to college does not have. So, he needed to apply his imagination to the problem – and the wonders of the internet. He used a site called Kickstarter – which allows product developers to pitch ideas to potential customers. As he had tested the product amongst his college friends to great success, he had a lot of evidence to present to potential backers. This is essentially a means of crowdsourcing funds needed to make the professional prototype – it is also a way to pre-market your idea to potential customers for the cards too. It is the value of this pre-marketing that is also worth some thought. By creating a buzz like this you encourage word of mouth before the product even comes to market. You can also do this by giving away free products to notable people and you can build a mailing list where you share product development updates. Want to learn more? Follow this link to hear more about this success story from clicking here. The person behind Niche pursuits lays out the whole of the success story here. Amazon PPC would make these numbers even more impressive, but you need to have the ability to source the products. Keywords will be crucial here. Keeping your ability to fulfil orders up and running is crucial – this means managing your stock. You need to find some way of predicting the demand for the item – and this is where the metrics become crucial. Holiday season is the most important time of year and you need to be ready with an appropriate volume of existing products in place. This might mean order 4 times your supply than normal. This might feel like a risk, but November and December should be you best months. Again – the lessons learned fall back to ordering and managing supply effectively. The guy behind Feedbackz assumed at first that Amazon was going to be full of resellers – which would never become a legitimate means of making a living – as has proven to be the case with eBay. However, he didn’t realise the power of private labelling and that you didn’t need to resell to become an Amazon FBA millionaire. His most important tip is: To get the product to market quickly and prove that it sells and is viable as a product. As with Niche Products, he advises 4 – 5 products that people use every day at first – get these established before moving forward. These products provided important metrics that help him know how to shape his next move. He learned from these first every day products that only just offered him a profit. He moved forward with the products that worked, dropped the products that didn’t and used the learning to try new products. He addressed three major areas – he wanted more reviews, to optimise his listings and to make his packaging and listing more legitimate. Want to hear more? Visit here to hear the full story. Kap7 is an optimisation super success story. It is a company based in LA with only 7 professionals, but its swimwear ranks 3rd on Amazon, just behind Nike. Alex, one of the professionals behind this success story, noticed that they all browsed Amazon when looking for products – so it seemed like a sensible sales channel to make the most of. Even though the profit margin for selling on Amazon drops by half, it is a channel that enjoys high traffic and high sales – so this more than makes up for the difference. The reason behind the success on Amazon? They put it down to control over the marketplace on Amazon, higher volume of sales and being able to successfully target buyer personas. Want to learn more? Click here. How much of a success story is Marvin? Well, he turned a $500 investment in $10000 in less than 4 months. Marvin began his FBA selling business because he didn’t want to work 9 – 5 or the next few decades, he wanted to create some passive income that could fuel the lifestyle he desired for himself and his family. As with some of the other stories so far, the answer seems to be to start small and learn before building to a bigger profit. Marvin didn’t chase big numbers at first – he took on products with a 20% ROI at $2 profit per unit. He chose items that tended to sell within 30 days and chose to build volume. Those items that leverage a 100% to 200% ROI are rare and carry high risk. You are much better off selling small and growing big volume. Marvin also went into an area that he knows well and built relationships with suppliers by being honest, knowing names, reaching out to low level management in companies who can make smaller decisions, and practice respect for those you are working with. If this sounds like something you want to know more about, click here. Q4 or quarter 4 – the period leading up to Christmas and the holiday season boom on Amazon – is the hardest time to become established as a new seller. However, this is exactly the time Tony Stucker chose, and to great effect. He teamed up with CPC Strategy to market and sell a Pop-A-Shot – pop-up basketball ring and net – on Amazon. Pop-A-Shot is the brand that created electronic basketball shooting games – in 1981 – they are the original and most would say the best. It succeeded in arcades and fairs and in bars. Then, when this market became saturated, they move to non-coin operated games. It then transitioned to new owners when it became clear that the brand was growing tired and needed new energy. Stucker took over the business in 2016 ad gave it a new lease of life on Amazon. The secret to Stucker’s success was research. He used this research to design a new home product called the Home Dual Shot that was ideal for families. This found a whole new customer-base that hadn’t even been touched by Pop-A-Shot previously. He also researched inventory and decided he needed to increase product 5-fold and put a greater emphasis into advertising and then delivering. Want to learn more about the emphasis on advertising – visit here. Whoosh increased its Amazon sales by 170.4% selling tech hygiene products and gadgets for electronics. It was mostly a bricks and mortar store until it realised the power of the Amazon channel. This allowed direct access to its user-base: IT users and gamers. Whoosh began its success story by establishing an advertising campaign and optimising listings. The advertising campaign involved purchasing display ads, which meant that competitors were not displayed on their product listings. They also targeted the listing pages of the same competitors. They purchased headline search ads that drove traffic to their retail brand page using keywords and payment for high visibility on the site. These sponsored product ads consistently put them in front of their customer base. Want to know more about Whoosh’s strategy – click here. Oxyfresh, like Whoosh, experienced an impressive leap in sales. They jumped 110% in sales thanks to the strategies they employed when selling items that make you and your pets happy and healthy – in short, health products for pet-lovers. Oxyfresh made two decisions to improve sales. One: they jumped to the marketplace to sell their products. Two: they outsourced their advertising efforts. Thy chose to go with a company that already knew how to make products successful on the Amazon Marketplace – rather than try to learn the lessons themselves and potentially learn the hard way through failures as well as successes. Oxyfresh now dominates the market on Amazon. This is because of the use of Sponsored Products, non-branded keywords, driving reviews to products and the targeting of competitors’ listings with retargeting ads that drove potential customers to their listing. Sound interesting? Click here to learn more. Seventh Generation sells cleaning, paper and personal care products – basically all the stuff we use a lot every day. They have a clear philosophy and ethics – caring for human health and the environment – that makes them a distinctive brand on Amazon. Its success came from increasing AMS sales and lower ACoS and by increasing its sales on Amazon Prime Day in particular. This success was achieved by optimising a particular campaign – that targets Amazon Market Selling and targeting Amazon Prime Day – as these were seen to be where Seventh Generation would be most successful. Obviously improving sales here also worked to organically increase sales ranking and improve overall sales too. Interested to know more? Visit here.